The European Commission unveiled a draft text for a chapter on investment protection and investor to state dispute settlement – now called the Investment Court System – to be included in the Transatlantic Trade and Investment Partnership (TTIP) with the US. This new system would replace the existing investor-to-state dispute settlement (ISDS) mechanism not only in TTIP but also in all ongoing and future EU investment negotiations. In 2014 more than 150 000 people, organizations and companies participated in the Commission’s public consultation. More than 97% spoke out against any form of ISDS. While the Commission claims to take public criticism seriously, in reality it just ignores it by proposing a reform of something that is rejected in principle. So far only 8% of US companies operating in the EU are covered by ISDS due to Bilateral Investment Treaties. TTIP would cover all US-firms, currently more than 47,000. Today investors already claim more than 30 billion euros with ISDS cases. With TTIP this number could explode because of the extended scope of TTIP. The Commission implicitly agrees that ISDS-reform in CETA doesn’t go far enough when it now sees the need for reform within TTIP. Moreover because of the close connection of the US and Canadian economies, 4 out 5 US companies operating in Europe would already be covered by ISDS in CETA with help of their Canadian subsidiaries. do very little to address the fundamental problems of the ISDS system. ISDS will still grant foreign investors the sole right to sue states based on investment protection enshrined in treaties and not democratically decided laws like everybody else. It will still be one sided process which allows investors to sue states for policy choices while there is no matching mechanism to sue them for violating public policy objectives, health, labour and environmental standards. The “right to regulate” has not been preserved. The only effective way to protect the right of governments to regulate in an investment agreement are by not undermining it via protection standards or by clearly excluding it from protection standards. The Commission’s reform proposal does not rule out the possibility of picking the most suitable forum for the investor to pursue its claims. While there are some restrictions on running cases simultaneously on the national level and via ISDS, there is no provision against cumulating the two. Despite re-labelling arbitrators as judges they will still be highly paid lawyers with an interest in more and longer running cases. The parties in the dispute will pay them per case. Therefore, they maintain a strong financial incentive to interpret the law in favour of the investor. The existing of a pool of “judges” for a given time period doesn’t change the fact either. Finally the provisions against conflict of interest are vague and it is not clear who defines them. The introduction of an appeal body might improve the functioning of ISDS but it does neither address the fundamental problems with ISDS nor is it clear who would sit on this appeal body and on which basis it would decide. With the Commission’s reform proposal ISDS will still be a powerful tool for investors to threat governments when it comes to policies that might endanger profits but benefit public interests or the environment. There is still no convincing argument why we need ISDS in the first place. In 2014 the Commission decided to organise a public consultation on its ISDS agenda – largely based on the alleged “reforms” in the CETA investment chapter. The response from the public was massive with almost 150,000 people and organisations contributing, the second top record in terms of public participation for EU consultationsvi. But the response was also crystal clear: 97% of all respondents rejected ISDSvii and the Commission’s proposals to reform the system, amongst them business organisations and parts of governmentviii. In the meantime 3 million people have signed a petition against TTIP as a whole, with ISDS as one of the main concernsix. Commissioner Malmström declared that she heard the concerns of public opinion and that this new proposal responds to it. But in reality, the new proposal is a slap in the face of public opinion [and reason]. The Commission’s aim is to re-legitimise the system without addressing many of the core problemsx. Despite such a strong “No to ISDS” message and an overwhelming rejection of the alleged reforms outlined in the consultation, the Commission showed its disrespect for public opinion and decided to move ahead with its flawed reform agenda. An inclusion of ISDS in TTIP would dramatically expand the investment flows covered by ISDS and therefore increase the likelihood of European governments and the EU being sued through this mechanism. Currently only 8% of the US-owned firms operating in the EU are covered by ISDS, through existing bilateral agreements between mainly Central and Eastern European member states and the US. If ISDS is included in TTIP, all investment flows would be covered and more than 47,000 U.S.-owned firms would be newly empowered to launch ISDS attacks on European policies and government actionsxi. This will undoubtedly result in many more cases against EU member states. To date, investors have already claimed at least 30 billion Euros in compensation from EU member states though ISDS mechanisms in other trade deals and EU governments have already been forced to pay out upwards of €3.5 billionxii; the inclusion of ISDS in TTIP will increase this amount drastically, with EU taxpayers footing the bill. As the Seattle to Brussels Network has pointed out several timesxiii, there are no meaningful reforms in the CETA text, despite the Commission claiming otherwise. The draft text of the European Commission for the TTIP negotiations largely builds on the CETA arrangements, while it also introduces new procedural reforms – thereby implicitly recognising that the CETA arrangements do not go far enough. The fact that Commissioner Malmström has categorically stated that the proposed reforms for TTIP would not apply to the Canada-EU free trade agreement and that the CETA text will not be opened up again are a further indication of the Commission’s unwillingness to seriously consider a meaningful reform of investment protection. 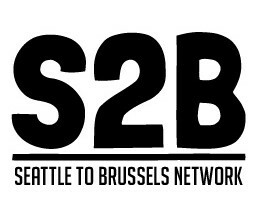 The Seattle to Brussels Network calls upon the EU member states and the Council not to sign CETA. The Commission proposals ignore the elephant in the room: the fact that EU-US investments have taken place for decades and have grown to over €3,000 billion without ISDS and that ISDS is clearly not needed. In her announcements Commissioner Malmström made it clear that she is of the opinion that “we need to negotiate rules on investment protection and ISDS in TTIP”xv. This contradicts economic reality: the enormous volume of transatlantic investments demonstrates that there is no “need” for any additional protection of foreign investors. It also runs counter to a global trend where more and more countries refuse to sign agreements that include ISDS or have started to terminate investment treaties that contain ISDSxvi. The most recent example is the country of Italy, which has announced its withdrawal from the Energy Charter Treaty, which includes ISDS provisions, on the basis of which the country has already been sued over developments in the renewable energy sector. The Commission argues that “the US does not accept trade deals without ISDS”. However, for example, the US-Australia free trade agreement (FTA) from 2004 does not contain ISDS. The Commission argues that “if there is no ISDS in TTIP, other countries will not accept it either”. However, the EU is currently negotiating bilateral investment treaties (BITs) and FTAs which include ISDS with other countries like China, Vietnam, Malaysia, and none have subjected its inclusion to whether it is also present in TTIP. Also, the fact that the US-Australia FTA from 2004 does not contain ISDS, while the more recent Australia-China FTA from 2014 does include ISDS indicates that countries like China do accept that their partners negotiate agreements according to different standards. The Commission argues that “No US law prohibits discrimination”. However, the two cases that the Commission brings forward as alleged proof of discrimination of foreign investors in the US courts are controversial and have been rejected as making the case for ISDS in TTIP.xvii In any case, a mere two examples of discrimination of foreign investors in a country’s courts cannot be a reason to establish a complete parallel litigation system. Also, if the US can accept ISDS, it can also – and with less far-reaching consequences – prohibit discrimination of foreign investors via other means. Proposals presented to supposedly replace ISDS in TTIP with a new “investment court system” include the establishment of an appeal mechanism; a fixed list of arbitrators, now re-labelled as “judges”; increased transparency, and new language on the right to regulate. The Seattle to Brussels Network rejects the idea that the Commission’s new proposals are a real alternative to the ISDS system. Foreign investors will still be granted special rights, rights that no one else in society has. Only foreign investors will be able to circumvent existing courts and sue (or threaten to sue) states directly in international tribunals. Not only foreign investors will have access to exclusive investor-state litigation (enjoying greater procedural rights than domestic investors), but also their claims against states will still be judged based on a different set of rules. These are not the laws and constitutions of the host states, but the investment protection standards written into investment agreements, which offer foreign investors greater, and arguably excessive, private property rights than those enshrined in national constitutions or EU law. So while countering discrimination against foreign investors is one of the key justifications for granting investors exclusive rights, the system will still be based on provisions that constitute a double discrimination (procedural and substantive) against domestic investors and ordinary citizens. Under the new system, foreign investors will still enjoy ample rights without any matching obligations to contribute to public policy objectives or respect for environmental, social, health and safety or other standards. Therefore, the new system continues to discriminate against regular citizens and local communities that are negatively affected by these investors, as they can’t take them to international courts. EU member states and the Commission are currently even undermining proposals at the UN level to establish mechanisms that could give citizens access to international courts when their rights are violated by investorsxviii. The investment court system maintains the surrendering of the interpretation of investor rights, the judgment over whether legal and constitutional public policies are right or wrong and the order of large compensation sums to be paid from public budgets to for-profit arbitrators – now re-labelled judges – with a vested interest in keeping the system alive. To date arbitrators have greatly extended the rights of foreign investors through expansive interpretations of the vaguely formulated investment protection standards, and have effectively warded off attempts of governments to narrow their space for interpretation. Nothing in the new proposal can prevent this practice from continuing. Moreover nothing in the proposal addresses the fact that ISDS offers foreign investors an instrument to put pressure on sovereign states. They can still use it as a threat to dissuade governments from carrying through policy decisions. Governments and the EU may also refrain from taking measure because they are uncertain about the interpretations that tribunals may have. In this sense ISDS can have chilling effects or undermine democratic decision making. The definitions of “covered investment” and “investment” maintain the broad language of past investment agreements and of CETA, which enables challenges by investors that have made no real “investment”. Worrying examples of the negative consequences of broad investment definition include: a foreign firm claiming (and arbitrators agreeing) that its “market share” in another country could be considered a protected investment in the context of NAFTA (S.D. Myers v Canada)xix, or Argentina currently being sued for over US$ 1 billion by 60,000 sovereign bondholders without real investments in the country, after the country defaulted on its debt following the 2001 financial crisis (Abaclat and others v Argentina). – In fact, the formulation used by the Commissionxx reduces the right of governments to regulate since it limits it to “measures necessary” to achieve “legitimate” objectives. The criteria to define what measures are necessary and what constitutes legitimate objectives are open for interpretation. Ultimately, the decision will be made by arbitrators (re-labelled judges) who will continue to earn more money, as more investor-state claims are filed, i.e. when the system remains attractive for investors in challenging measures they dislike. – The right to regulate is further reduced when interpreted together with the broad investors’ rights included in the agreement (see below for, for example, fair and equitable treatment). Against the background of these far-reaching rights tribunals might still rule that States have breached investors’ rights, when introducing policy changes on public interest issues such as the environment, health or social rights. And while the EU proposal makes clear that a tribunal cannot ask the government to change a policy, it can still order the government to compensate the investor. This fear of a costly award can still cause a chilling effect on public interest policies. The only effective way to protect the right of governments to regulate in an investment agreement are by not undermining it via protection standards or by clearly excluding it from protection standards. The Commission could have included a formulation stating that measures taken in the public interest would not constitute a breach of the investors’ rights (as in art. 2.3. and 2.4), but it failed to do so. The so called “Fair and Equitable Treatment” (or FET) standard is the most widely used and expansively interpreted investment protection standard. The EC maintains this investor right in its TTIP proposal (Art.3.) but claims to have narrowed its scope. In contrast to the bilateral investment treaties (BITs) of the EU member states, where the FET standard is “unqualified”, the European Commission has introduced a more detailed qualification of the standard. However this will not be sufficient to prevent expansive interpretations of this standard by arbitrators (or “judges”) as the list of breaches is not fully closed. Moreover it seems that the article “has codified a major expansion of this term compared to its widely accepted customary meaning before the investor-state arbitrators arrived on the scene about 15 years ago”xxi. Investors such as Philip Morris (in its claim against anti-smoking legislation in Australia) or Lone Pine (in its lawsuit against Canada over a fracking moratorium in Quebec) base their arguments on the exact same elements of the FET standard that the Commission lists explicitly in its proposal. In the case Bilcon vs. Canadaxxiii, the investor used the concept of “legitimate expectations” to challenge a democratic decision not to allow a marine and mining project to proceed as a result of an environmental impact (required by Canadian law prior to the start of the project) that found the project not to be in line with Canada’s “core community values”. While the arbitration panel backed the investor, interestingly one dissenting arbitrator has voiced his concerns about the potential negative precedent of the case when it comes to environment protection. In any case, the Bilcon example illustrates the problematic aspects of the Commission’s proposal in relation to investors’ “legitimate expectations”. Protection against indirect expropriation has allowed investors to sue governments claiming that new regulation in the public interest was an indirect expropriation of their investment. The Commission has maintained the provision but attempted to restrict the language (point 3 of Annex 1) and therefore the possibilities of investors suing. The text accepts that non-discriminatory measures designed and applied to protect legitimate public welfare objectives can be interpreted as indirect expropriation, but ONLY “in the rare circumstance when the impact of a measure or series of measures is so severe in light of its purpose that it appears manifestly excessive”. It is then up to the State to prove that the measures were not excessive, and open for the “judges” to interpret the clause. The Commission’s proposal gives discretion to (for profit) arbitrators to decide on what is “non-discriminatory”, “legitimate”, and “appears manifestly excessive”. In the case of Philp Morris International vs Uruguay, the company has argued that “The excessive 80 per cent health warning requirement and the graphic pictograms which have the effect of demeaning and indeed destroying Abal’s and PMI’s trademarks, also do not bear any rational relationship to a legitimate governmental policy”xxiv. In its TTIP proposal, the Commission introduced a very problematic clause that had previously been rejected by Canada in the context of CETA. This is the “umbrella clause” (art.7). Even though the wording is more elaborate than other umbrella clauses, the effect remains the same: it elevates “contractual written commitment” to the international level, making governments liable under international trade law for changes in the domestic law that are considered not to be in line with the obligations of private contract to which it is a party. This would mean that foreign investors can enforce all the rights guaranteed to them in contracts with EU governments via the ISDS provisions in TTIP. This will also be the case when the contracts do not foresee such a process, but, for example, require the investor to claim its rights in the domestic courts of the country. The Commission ‘Investment Court system’ remains biased in favour of foreign investors, as it allows them to continue to decide which forum to pick for the resolution of their dispute (while domestic investors only have the possibility to go to domestic courts). The proposal does not include any obligation to exhaust domestic remedies before initiating an arbitration case. While it restricts the possibility for investors to run claims in domestic courts and in international private tribunals simultaneously, it does not limit the possibility to cumulate the two. Cases like the Vattenfall vs. Germany – where the Swedish energy company challenges the constitutionality of Germany’s exit from nuclear power in the German constitutional court and demands €4.7 billion in compensation from Germany for the same measure in a parallel ISDS dispute – would still be possible under the new rules. Because all that the new text does is prevent investors from parallel compensation claims in two different fora, while having the constitutionality of a measure reviewed in one forum and using another to claim compensation will still be possible. In the Commission’s proposal, the “judges” deciding investor-state claims have a strong financial incentive to interpret the law in favour of the investor – similar to the current system of for-profit arbitrators. While the “judges” will be paid a retainer of 2,000 euros, they will also be paid per case by the parties in the dispute. According to the ICSID fee schedule referred to in the Commission proposal, they will earn US$ 3,000 per day and there is no cap to what they can earn in total per case. In a one-sided legal system where only investors can initiate lawsuits that is a strong incentive to keep the system investor friendly – because as long as the system pays out for investors, more claims and more money will be coming to the “judges”. One of the main innovations of the EU’s proposal is to rely on “publicly appointed judges with high qualifications” based on a roster pre-agreed by the parties. Firstly the roster system already exists to a certain extent with the ICSID roster of arbitrators. But that did not prevent the EU and the US from nominating arbitrators, who are known for their expansive interpretations of investment law – a situation in favour of the investor claimantxxv. So this proposal is re-launching an old idea that has proved unsuccessful in the past. Secondly, the requirement for the so-called judges to have qualifications “for appointment to judicial office, or be jurists of recognised competence” (Section III, article 9) provides no guarantee at all that for-profit investment lawyers would be excluded from being nominated as “judges” in the future. They only need to have a qualification to be a judge, but according to the text they don’t need to be a functioning judge. This is important considering the enormous room for interpretation left to the “judges” and the lack of safeguards against expansive interpretations in the text. The wording also needs to be looked at carefully, in the light of earlier comments by Commissioner Malmström: “Of course, this does not go the whole way to creating a permanent investment court, with permanent judges who would have no temptation to think about future business opportunities.”xxvi This suggests that the Commission does not really want to tackle the problem of arbitrator bias in TTIP. Thirdly, there are serious concerns in relation to the proposed ethics requirements for the so-called judges (see code of conduct in annex II). While article 11 mentions that judges “shall not participate in the consideration of any disputes that would create a direct or indirect conflict of interest”, what actually creates a conflict of interest is not spelled out in details (beyond mentioning the obvious incompatibility of their position with serving as a counsel). In particular, there is no specific list of positions and interest likely to conflict with the independence of the “judges” in the performance of their duties, such as, for example, them sitting as private arbitrators in other investor-state proceedings, including those that do not have to be disclosed. While the text includes requirements to attempt to regulate conflicts of interest arising among the panels of arbitrators/”judges” conflict of interest management, it does not exclude the possibility to get other payments on the side while serving on the roster (which would be an important step forward in order to putting an end to conflicts of interest). The current restrictions mentioned are very limited (financial and personal relationships with the parties). A minimum would have been to make the full list of conflicts mentioned in the IBA Guidelines on Conflicts of interest in international arbitration bindingxxvii. It is very unclear from the text how conflicts of interest will be assessed, while experience shows that efficient ethics management is highly dependent on the implementation of the written rules. This is particularly problematic considering that it falls on the President of the Tribunal (a peer) to decide on whether or not to challenge the independence of other members of the tribunal, and it repeats problems that already occurred in the context of ICSIDxxviii. The proposal on an investment court system introduces an appeal tribunal in addition to first-instance tribunal, which it claims is based on the model of WTO Appellate Body”, with permanent members. This may improve the functioning of ISDS but does not address the fundamental problems mentioned above (privileging of foreign investors, transfer of powers from independent courts to not fully independent tribunals, one-sidedness of the system). It is unclear from the proposal whether whoever will sit on this appeal tribunal will be bound to any case precedent (what will judges refer to when deciding on the appeals?). Nor is there anything in the text that binds the “judges” of the Tribunal of First Instance to any previous decision of the “appeal tribunal”. The European Commission proposals for reform do not address the fundamental flaws of ISDS. Instead the suggestion to introduce an Investment Court System is mainly cosmetic and serves as a lubricant to make foreign investors’ privileges more acceptable, while increasing the coverage of ISDS threefold. There is still not one single solid argument that justifies the inclusion of special rights for foreign investors in a treaty between the EU and the US (or Canada) in the first place. The S2B Network will continue to campaign to put an end to ISDS and to confine investor conflicts with government measures in domestic courts. Contributed to this updated paper: Cecilia Olivet (Transnational Institute), Marc Maes (11.11.11), Pia Eberhardt (Corporate Europe Observatory), Natacha Cingotti (Friends of the Earth Europe), Ante Wessels (Foundation for a Free Information Infrastructure), Burghard Ilge (Both Ends), and Peter Fuchs (Powershift). xviii The UN Human Rights Council is discussing a proposal for a Treaty on business and human rights. EU member states have voted against this proposal and are boycotting the negotiations. xxii In his comments at “The Investor-State Dispute Settlement Mechanism: An Examination of Benefits and Costs,” CATO Institute, May 20, 2014, investment lawyer Todd Weiler said: “I love it, the new Canadian-EU treaty…we used to have to argue about all of those [foreign investor rights]…And now we have this great list. I just love it when they try to explain things.” Available at: http://www.cato.org/events/investor-state-dispute-settlement-mechanism-examination-benefits-costs. xxv For example, Germany nominated Karl-Heinz Böckstiegel; France nominated Emmanuel Gaillard; the UK nominated Sir Franklin Berman; The Netherlands nominated Albert Jan Van Den Berg; Spain nominated Juan Fernández-Armesto, Prof. Bernardo M. Cremades and Dr. Andrés Rigo Sureda; Belgium nominated Bernard Hanotiau and Sweden nominated Kaj Hobér. On its part, the US has nominated William W. Park and Daniel M. Price. xxviii Daele, Karel (2011) Challenge and Disqualification of Arbitrators in International Arbitration, Kluwer.